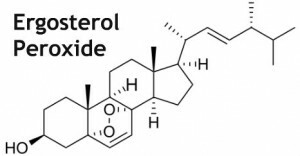 Sterols are organic molecules that naturally occur in plants, animals, and fungi. 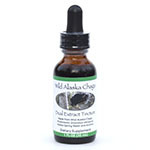 What Sterols are in the Wild Alaska Chaga Mushroom? 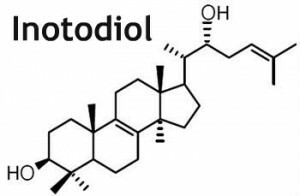 Inotodiol, lanosterol, betulin, ergosterol peroxide and several other sterols were isolated and identified specifically in the sclerotia (the hard black outer shell) of wild Alaskan chaga. What are the health benefits of Sterols? Betulin and betulinic acid are pentacyclic triterpenes differing in their molecular structure only by an alcohol group (betulin) instead of a carboxylic acid group (betulinic acid). This slight molecular difference drastically affects the biological activity of each constituent making betulinic acid more likely to be bioavailable. The wild chaga mushroom is basically sucking betulin out of birch trees and making a molecule (betulinic acid) which is more beneficial to humans. 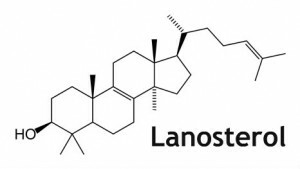 Lanosterol is also a tetracyclic triterpene and is the molecule from which all steroids are derived making lanosterol the precursor to human cholesterol. There are a number of other triterpene sterols found in chaga, some of which do not currently have common names. They may also contain similar health-enhancing properties to those found in the sterols described above. * Sterols are generally much more active (soluble) in alcohol than in water. If you are interested in harnessing the potential health benefits associated with sterols, we recommend our Dual Extract Tincture.